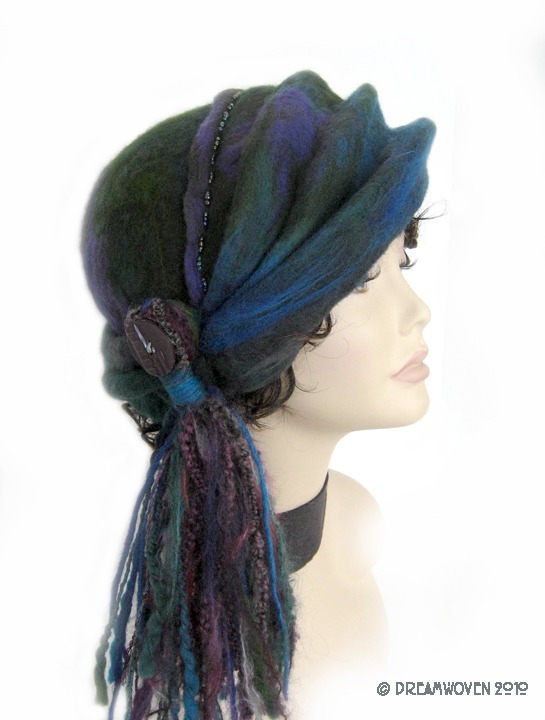 About the Headpiece: This is an exquisite headpiece of hand dyed and hand felted wool, embellished with vintage art deco buttons, matching glass beads and tassel. Azure is perfect for the woman who wishes to make a statement. 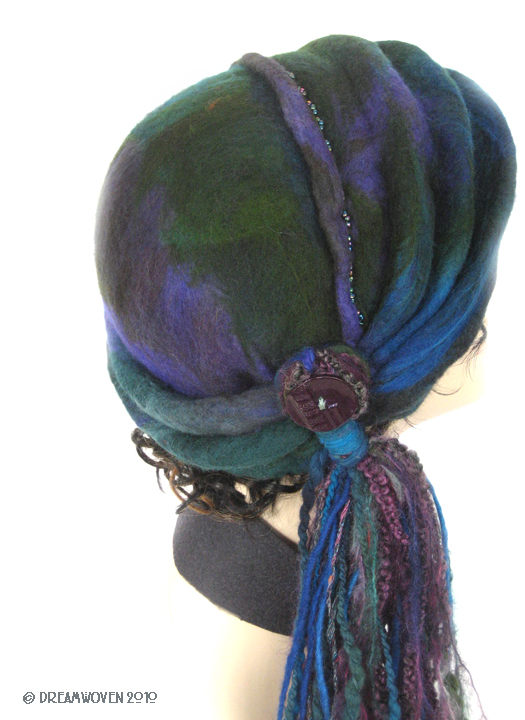 Her colorway is rich in blues/greens/violets . Reminiscent of turban style hats, she has folds and ridges. She is a regal and dramatic piece. 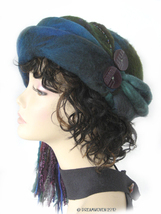 She is one of a kind and perfectly suitable for your special days as well as a blustery day in the cold. The hat measures approx. 11.5" (29.2cm) when laid flat. For reference only, the mannequin head circumference is 21" (53.3cm). It fits me perfectly (24" (61cm) head circumference with hair). Please measure your head by using a measuring tape and going around your head where you would want this hat to sit. If there is a question... please ask first, before purchasing. This hat may require the use of a hat pin, dependent on your hairstyle, size of head and/or weather. All of my items are sent via Priority Mail and are fully insured.